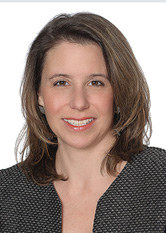 Tanya M. Mascarich's practice focuses on insurance coverage litigation, including matters arising from long-tail claims such as environmental contamination, construction defects and asbestos liabilities. She has additional experience in actions involving employment relationships, business contracts, life and disability insurance coverage claims, as well as commercial real estate. underground storage tank claims under business liability and homeowners' policies, as well as subrogation claims against joint tortfeasors. Argued before the New Jersey Supreme Court and Appellate Division on the issue of policy assignment by a corporate successor to the named insured. Obtained summary judgment on the issue of choice of law resulting in the application of state law favorable to an insurer on its coverage defenses. Co-chaired an 8-day trial on liability for millions of dollars of environmental cleanup at a former major manufacturing facility in South Carolina. Obtained summary judgment in favor of an insurer applying the pollution exclusion to claims for environmental contamination at a tank farm storing hazardous waste in Massachusetts. Obtained summary judgment based on application of the total pollution exclusion to a fuel oil spill caused by Hurricane Irene. Obtained summary judgment for a group plan administrator regarding death benefits under ERISA, which was affirmed by the Third Circuit Court of Appeals. Co-chaired a 4-day hearing before a Special Allocation Master to determine complex and novel issues affecting the allocation of millions of dollars paid on thousands of asbestos claims among various insurers. Managed the funding of an off-site investigation to identify other potentially responsible parties in order to decrease a policyholder's liability for groundwater contamination. Prepared appeals to the Appellate Division, the New Jersey Supreme Court and the Third Circuit on complex coverage issues such as allocation of liability for thousands of asbestos claims spanning over 60 years and application of the pollution exclusion and other defenses. Nominated to The Best Lawyers in America for Insurance Law (2017 through 2019).